Five new furnaces to improve the performance and the speed cooking. Iron furnace: improved performance, allowing burn 10.6 items per unit of coal. Oven gold: it allows us to burn 20 items per unit of coal. Diamond Oven: cooking 40 elements per unit of coal. Oven obsidian: allows us to simultaneously cook two items at the same rate as the iron furnace. Oven Netherrack: no fuel needed, but we set it on with a lighter. 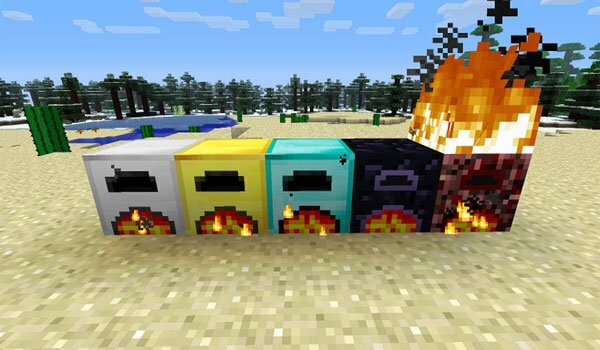 How to install More Furnaces Mod for Minecraft 1.7.2 and 1.7.10? Five new ovens with various properties!